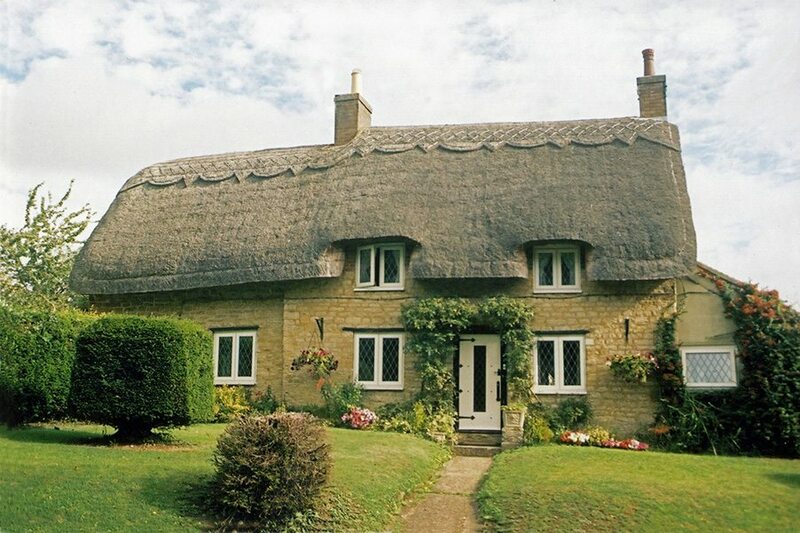 As mentioned, in the introduction to the various thatching styles, these two counties form a long boundary, between the rounded Southern and the angular Eastern thatching traditions. With influences from both styles being found here. Both now and more frequently in the past. 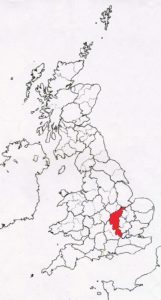 Parts of Northamptonshire were also influenced by the Northern tradition. Charles Innocent, in his book published in 1916, noted the use of the stobbing method. 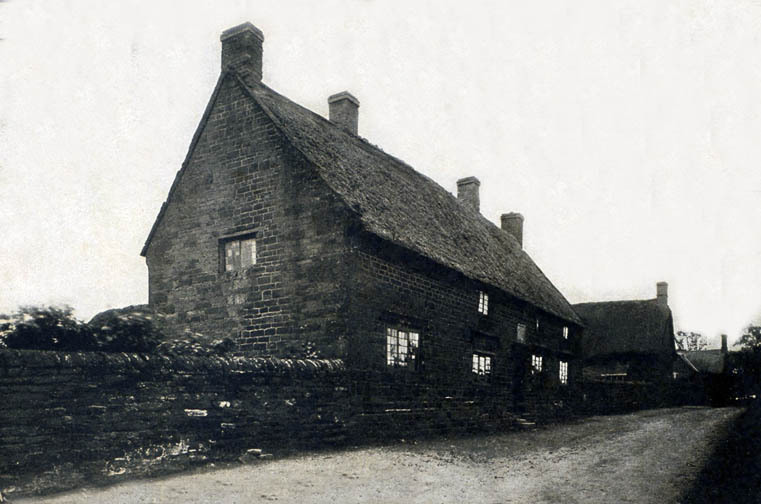 The old images also show some boarded gable ends, another classic Northern thatching method. These are now gone; with the Southern style becoming more prevalent, in both counties, in recent decades. 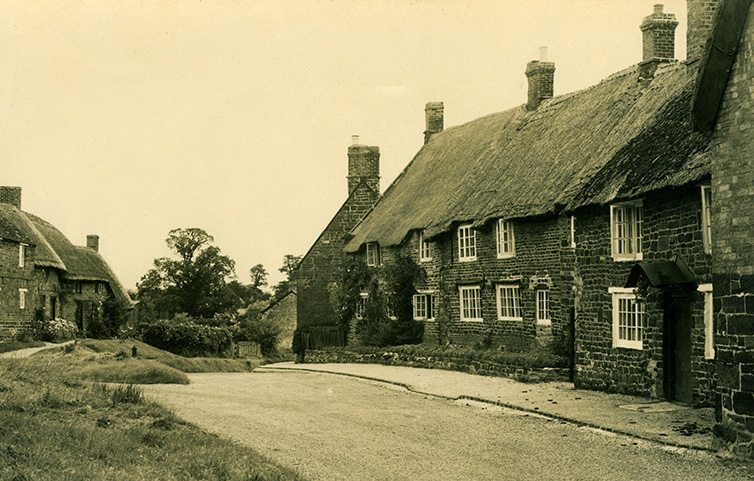 Milton Keynes… The Swan Inn, long before the village became a city… But this pub has survived, with some more thatched properties, one dating from the fourteenth century. Other materials than straw were used in the past. In the very north of historic Northamptonshire, access to the Fens allowed the use of Fenstraw or rushes. In 1523, these were made into Russhrope. 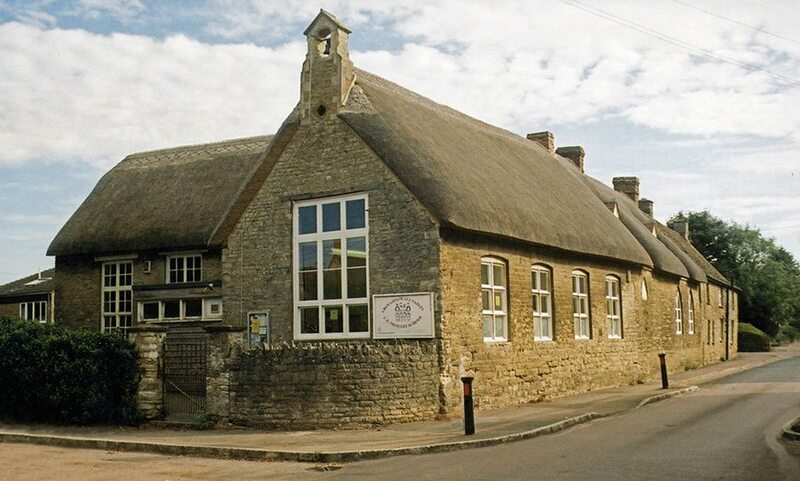 Used for tying on a thatched roof, in Peterborough. 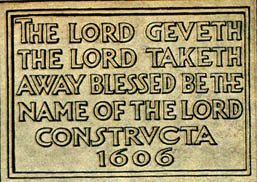 Similar work was carried out in May 1546. The Royal accounts show a bill headed “Peterborowe,” for “reparacions of the saltt coottes belonynge to ye maner of Monkeshall” Payments included, ‘for a thousand of reed to repair Stanworth Coott 10s. carriage of the same 12d., meat and wages of Robt. Jacson and his men thatching of the same coott, 7 days, 8s. 2d., 2 dossyng of ruse rope” for the same 18d. And to the same thatcher, ”for regyng of the same coott another coott in the holdyng of Robartt Elward,” 3s. 4d. Total 24s. 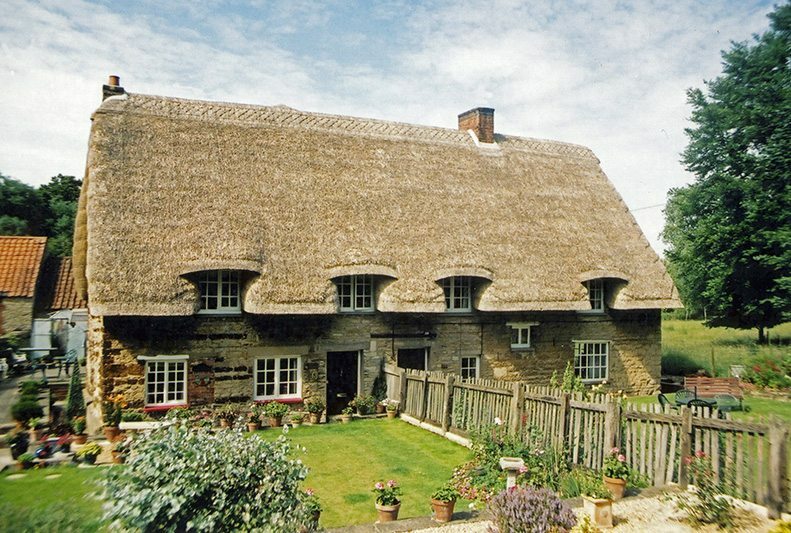 Northamptonshire long straw… At the Cranfords. 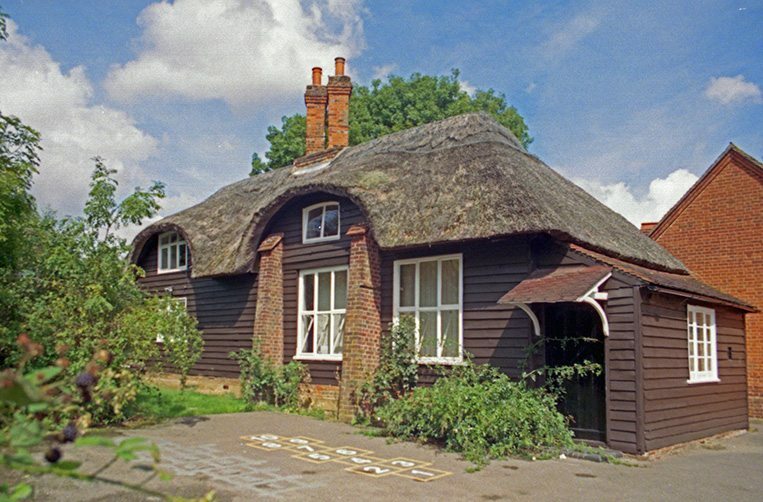 Plain and simple, with rolled gables and a hint of the Eastern tradition, at Cranford St John. And a long row of long straw, at Cranford St Andrew. 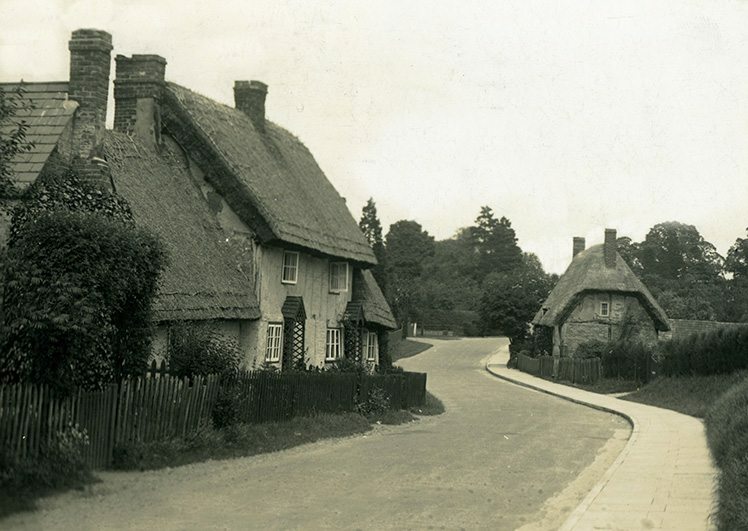 Into Buckinghamshire… A tranquil scene, in 1930’s Bletchley. 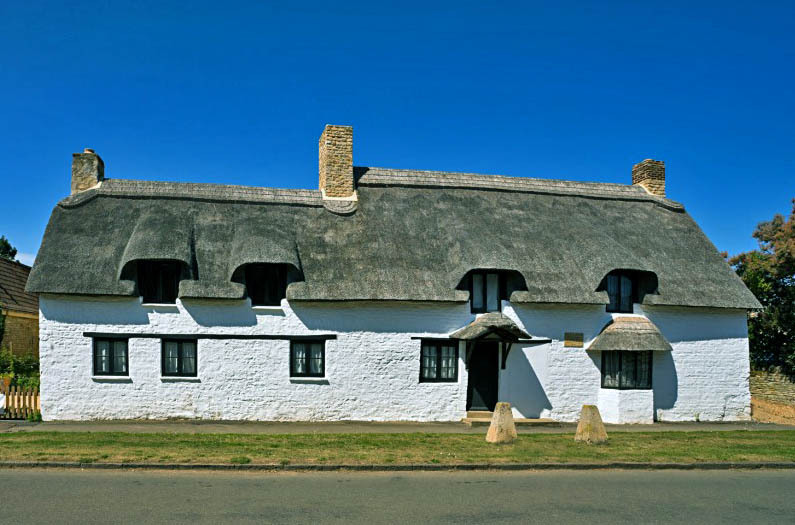 The thatch shown here, being multilayered long straw. 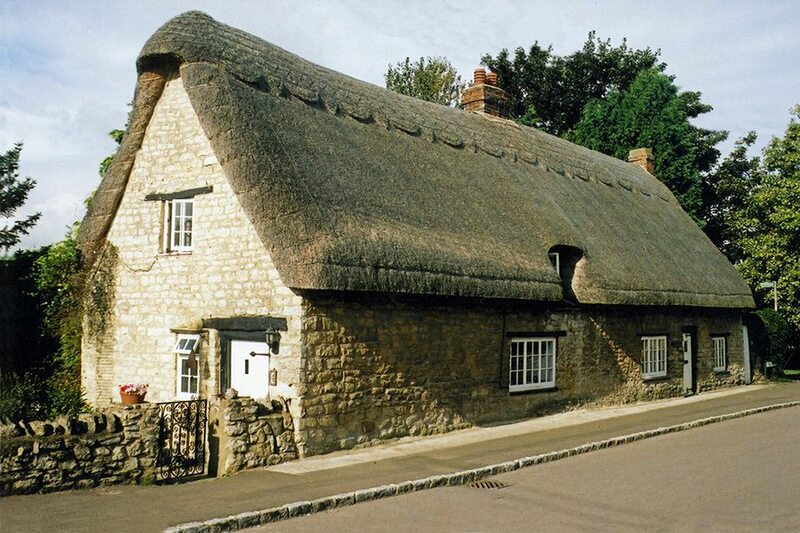 Although now almost swallowed up, by neighbouring Milton Keynes, this place still has more than a few thatches. 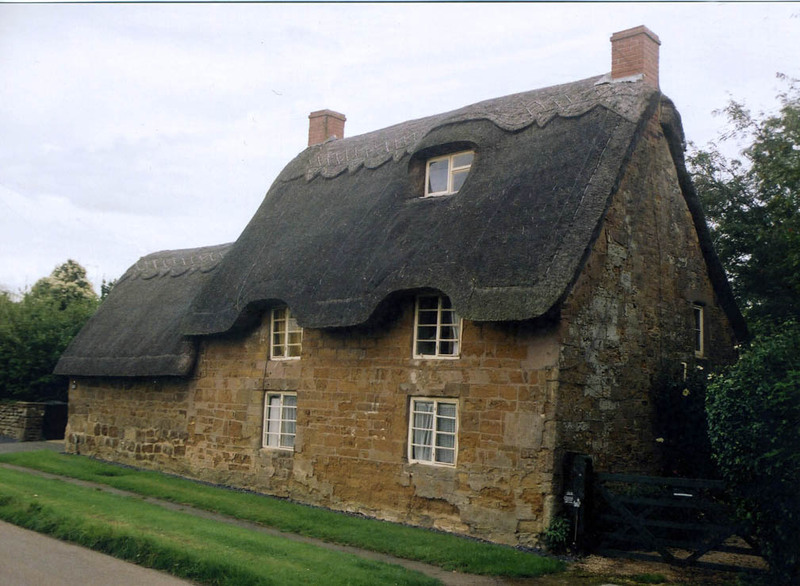 Bucks long straw thatch… At Castlethorpe, with a rounded, multilayered roof. 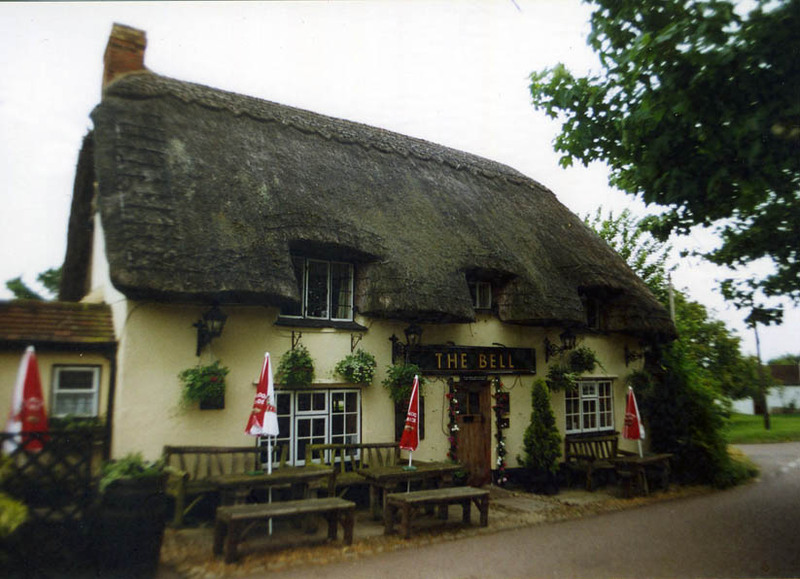 Curved and straight… Curved thatch, at The Bell in Chearsley. The location for a least one television drama. 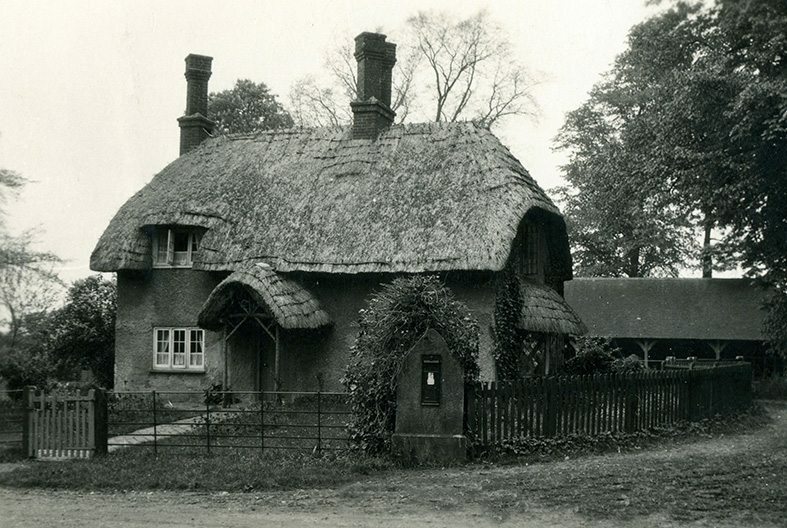 The angular thatch, in the 1920’s image at Horsenden, shows more than a hint of the Eastern thatching style. 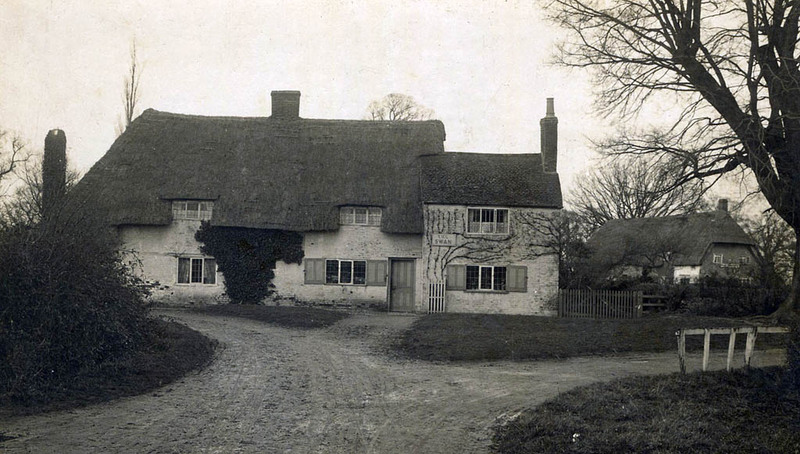 Extended, this cottage still provides an attractive home..
‘The old part of Princes Risborough’… Taken in the 1950’s, this photo, shows some curved long straw thatching. 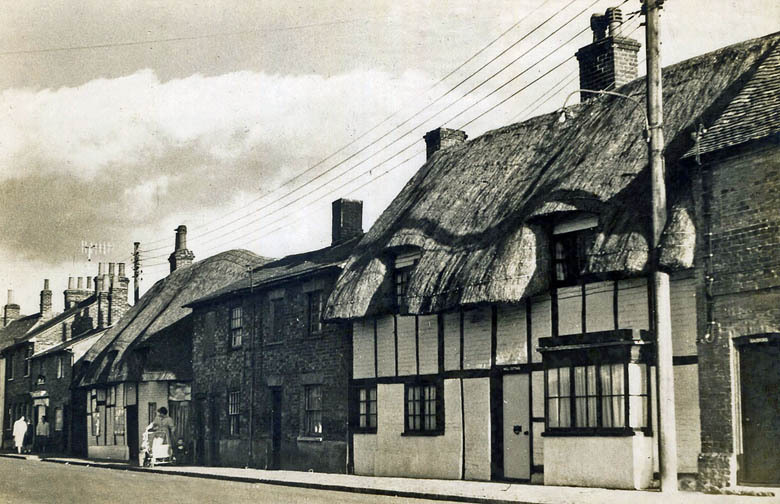 With some very dangerous electrics… However the thatched homes are still going strong. 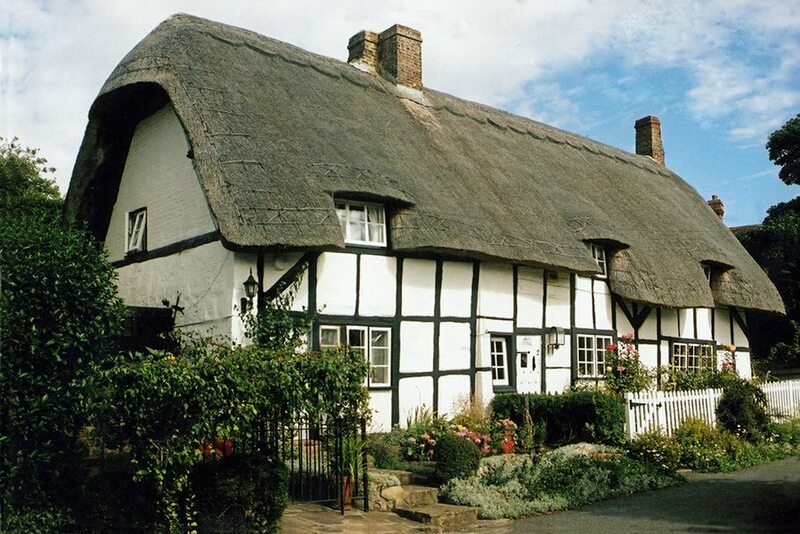 Timber framed thatch… Above, at Padbury. 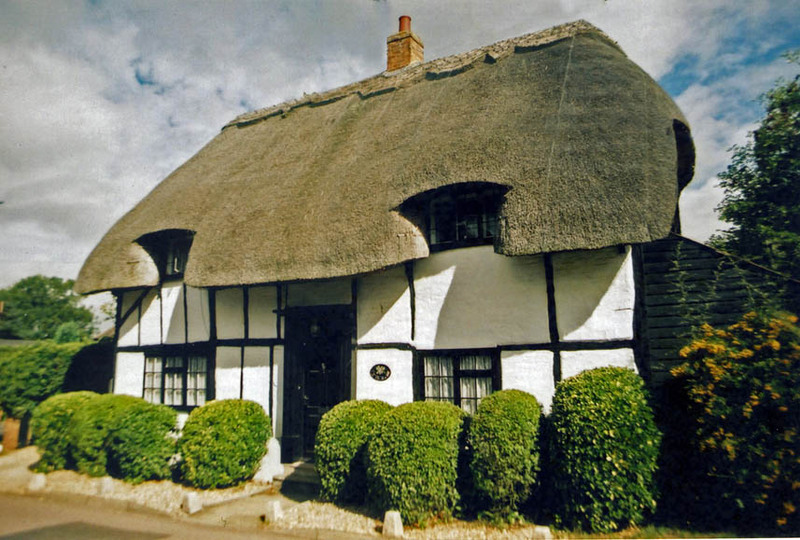 This Buckinghamshire village has much to show. 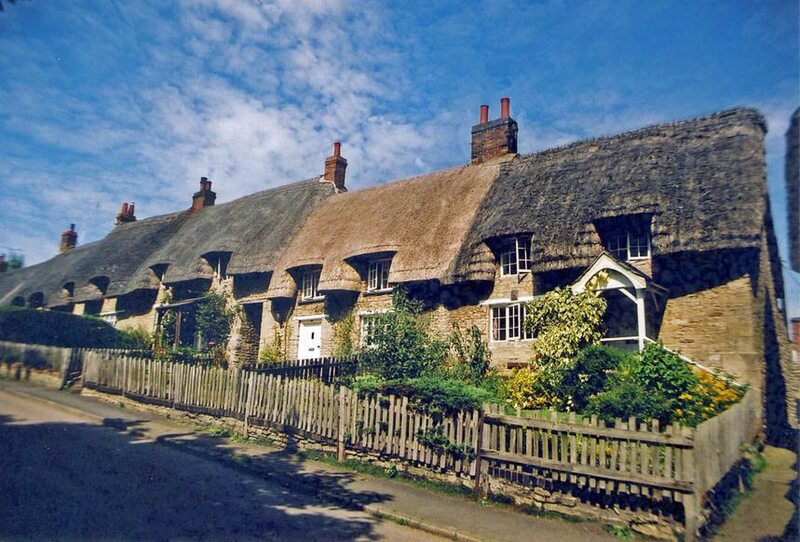 Many roofs, like these, being thatched in long straw. The traditional material, for both the historic counties, of Northants. and Bucks., whatever particular style the craft tended to follow…. On the right is a combed wheat reed thatch, in curved southern style, at Great Horwood. 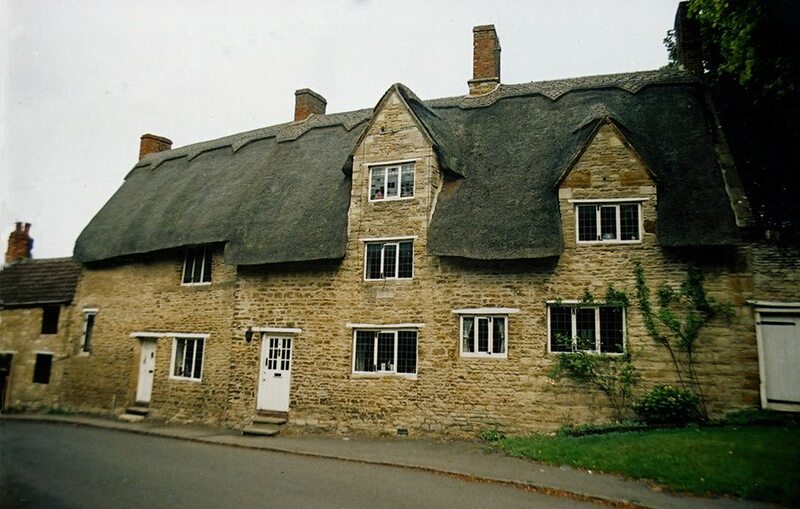 Northamptonshire lays claim to be an ancestral home of the Washington family, with one Lawrence, moving to Great Brington, towards the end of the Elizabethan period. 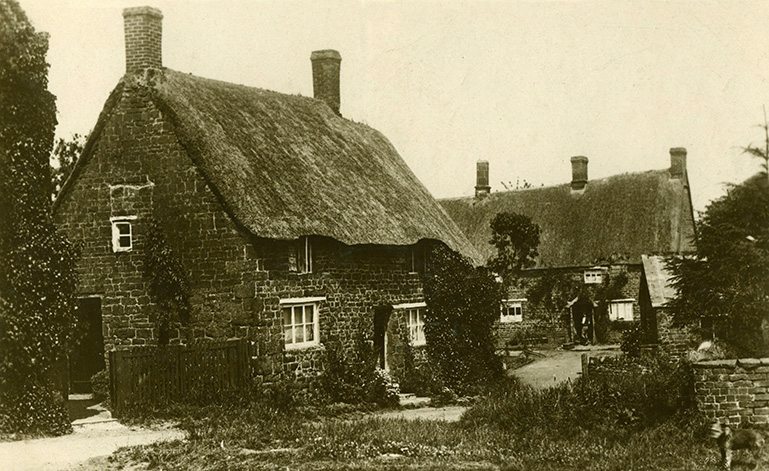 The old photo shows a cottage at neighbouring Little Brington, around 1900.